There’s no need to introduce the Brabus company. This German company isn’t some newbie in the world of tuning. It specialized on Mercedes-Benz cars and changes them to super cars. 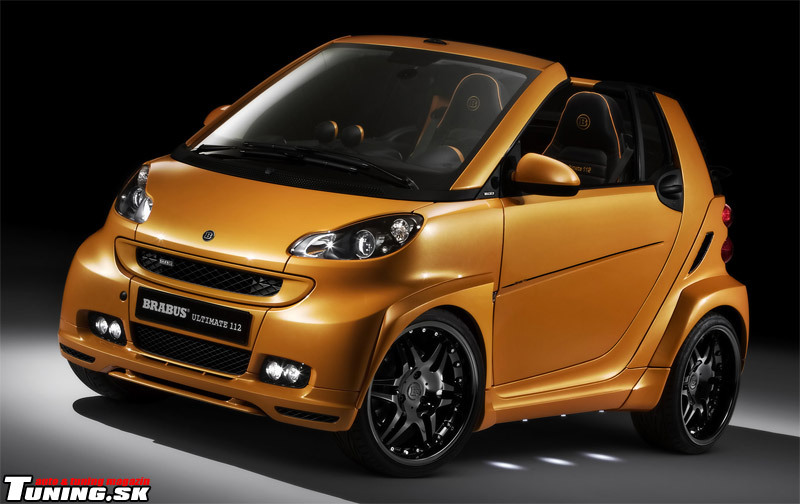 But what about a city mouse called Smart Fortwo? 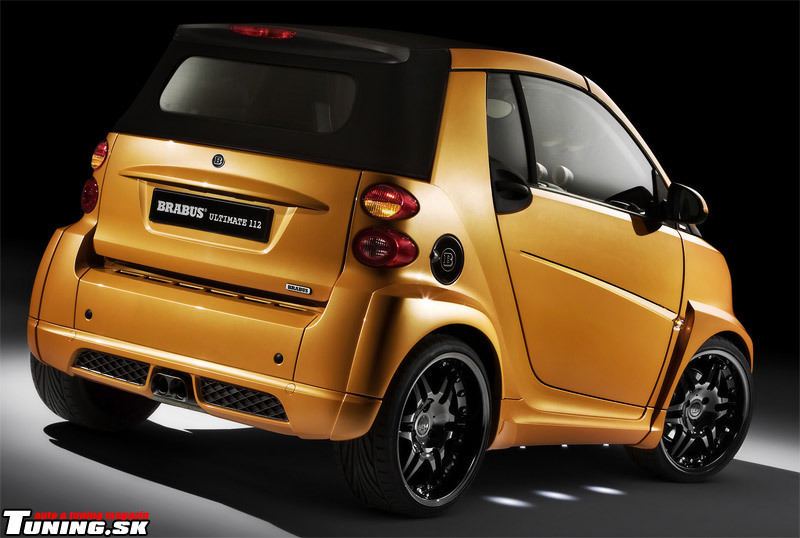 It’s a mystery, but it seems that Brabus guys love this smart mini-car. But this creation is very different from previous Works. They’ve created a small rocket named Ultimate 112. Orange color is dominate in case of this whole modification and replaced all former black or plastic parts. The car isn’t now so colorful and looks more serious. There’s a high spot in form of a black strip Ultimate 112. The second most important change is a wide-bodykit. It’s complete bodykit and the car is wider too. Wider front and rear bumpers boost its aggressive image. The front bumper is same as the stock version, but also includes a lip and two pairs of fog lamps as characteristic for all Brabus modifications. The rear bumper is also same as the stock, but it has two new cut-outs and a place for exhaust. The whole bodykit is very compact and looks like it was born for this car. All Smart badges were removed and replaced by Brabus ones. 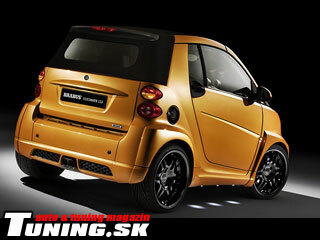 So you don’t see Smart, but Brabus :-). Stock headlamps are same with black inner parts and colors are new also in case of tail lights. A tank cap is black, including Brabus badge. The car has also fancy, but decent LED illumination. Brabus is well known for its engine improvements. And this modification proves this reputation – an engine smaller than 1 liter can produce 110hp (82.4kW) at 5750tpm. Its torque is 150Nm between 2800-4200rpm. It’s a great value for such a light-weight fighter. The exhaust system is of course made of stainless steel with a doubled aluminum exhaust tip in the front bumper. This power output can shoot the Smart to 60kmph in 3.9 seconds and to 100kmph in 9.5 second. Its top speed is electronically limited to 170kmph. Exclusive rims are must. The rims by Brabus are black 18“ Brabus Monoblock VI and they’re famous from previous Brabus works. Their dimensions are 7Jx18 with 205/35 R18 tires in front and 8.5Jx18 with 235/30 R18 tires at the back. The sporting adjustable suspension can offer you various settings – just depends on your requirements (sporting, or comfort). The interior looks great too. It’s also black and orange, offers great black leather seats with orange trim and Ultimate 112 sign. Yummy. Other parts as pedals, shift knob, steering-wheel, handbrake, rugs, moldings match perfectly with rest of the interior. The Ultimate 112 also provides automatic air-conditioning and navigation system as standard feature. By the way the Ultimate 112 means 112PS under the hood (110hp) and just 112 models in the world with unique emblem in the interior. Brabus has created very unique series of exclusive cars. But it’s pricey too – prepare about 46,000 euros for this midget. 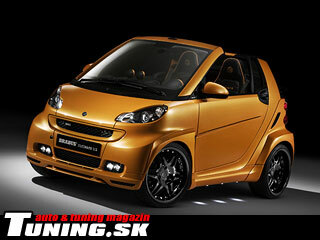 Your opinion on Brabus Smart Fortwo Ultimate 112 ?